In commercial terms, the meeting was a fiasco, but there arose as a result of it a warm relationship which, though not frequently rekindled, continued to the end of his life. He was one of the few people I approached at the worst of the financial squeeze I endured some years ago during my legal travails, and he responded (at no ultimate cost or risk). He was not an intimate, he owed me nothing, but he was a generous man. Another friend, a retired politician who did not know him well, asked Ron to support a university he was raising money for and started to elaborate on the merits of the ambitious project of his old alma mater. Ron interrupted him and said: "I don't need to know about that, I think you did a good job for all of us in public life and if you are supporting this, I'm happy to help." A prodigious donation followed. He was a congenial and witty companion. I have never heard a negative word about him, and am one of a very large number of people who deeply regret that we shall not be seeing him again. 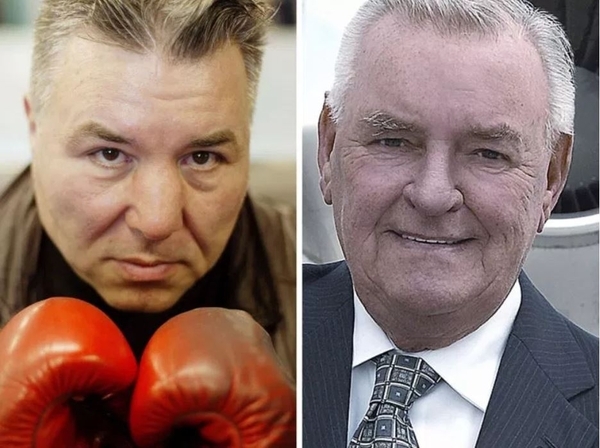 This brings me to another great Canadian octogenarian of a very different career, another old friend whom I encountered after a couple of years since our last meeting, at a neighbour's party last week: George Chuvalo. He is showing some of the attrition of his 81 years, decades of them spent in the utmost physically gruelling life of a prize-fighter. But he is undaunted by the rigours of that occupation and by the scars of family tragedy. He was five-time Canadian heavyweight boxing champion, holding that title for the astounding total of 17 years. He lost to six world champions, but usually with distinction: Ernie Terrell, Jimmy Ellis, Floyd Patterson, Joe Frazier, Muhammad Ali and George Foreman, and he defeated one-time world heavy weight contender Cleveland "Big Cat" Williams. Ali, having called him "a washerwoman," after going 15 rounds and taking 10 stitches called him "the toughest guy I ever fought." After the bout, Ali made a brief hospital visit while George "went dancing with my wife." His match with Patterson was rated the prize-fight of the year by Ring magazine in 1965. Jack Dempsey managed the event at which he knocked out four opponents in one night and gained the Canadian heavyweight title in 1956, aged 18. Joe Louis was the referee for one of his successful title defences in 1968. He was not, in world terms, a great prizefighter, but he was then, as he remains, the greatest prize-fighter in Canadian history, and a contender, the third-ranked heavyweight in the world for much of the Sixties. But that is a sport where only the champions really succeed. He was formidable and heroic, and had the same qualities outside the ring and retains them still. George's parents were Herzegovinian immigrants; his mother plucked chickens and his father, though he had lost an arm, was a slaughterhouse worker. George spent much of his life training in the gloomy Lansdowne Gym in western Toronto. His first wife and one of his sons died in suicides, an option that tormented him throughout the 1990s, and two other sons died of drug overdoses, presumed (with no great confidence) to have been accidents. George tried his hand at a number of businesses; the Caravan Restaurant didn't work out; a stationery business failed. He did better as a real estate agent. He endured personal insolvency, eviction from his home by the Croatian Credit Union with his furniture piled up on his lawn. Yet he successfully fought these problems too, pulled his life together and had a successful retirement. He became one of Canada's most effective champions of drug avoidance, and substantially rebuilt his life, and had a prodigious 80th birthday celebration last year. Now he is dealing with a very unpleasant divorce and excessively nasty litigation, accompanied by some of the ravages of age, including trouble concentrating. But I can report that he is serene and in apparently good humour, looks vigorous, and though he may conceal many heartaches, he exudes the same congenial indestructibility as he did when I first saw him at the height of his professional career, more than 50 years ago. George never gave up. He was never knocked down in a fight; he fought on against world champion Smokin' Joe Frazier even when one of his eyes was dislodged from its socket and the other was almost closed by near-hits. He never threw in the towel, or took the easy way out, of anything. He had integrity and courage, always. He was a champion for a long time, and he still is.